Having asked whether it'll be possible to make music on an Apple iPad, we now have our first answer in the shape of a pre-release screenshot of the tablet version of White Noise Audio's bleep!BOX. 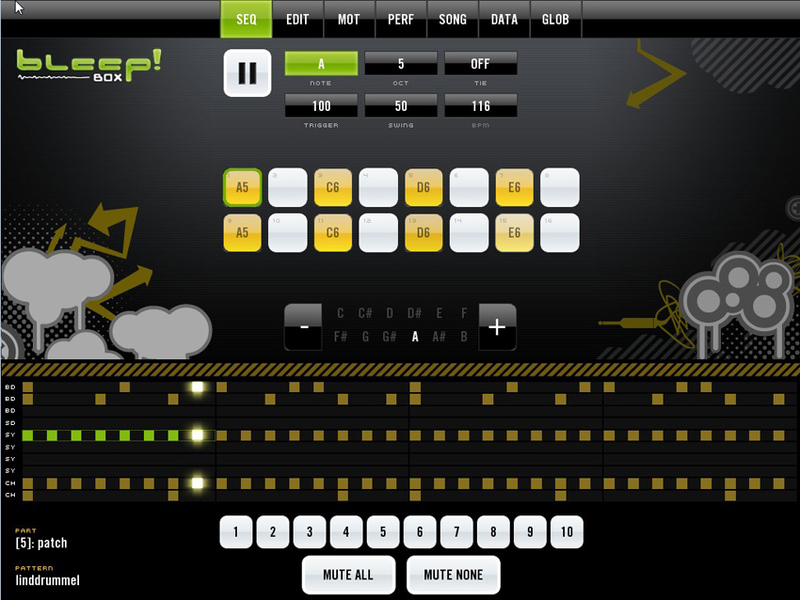 This follows the iPhone/iPod touch release of bleep!BOX, and White Noise Audio tells us that it hopes to have iPad iterations of this and bleep!Synth ready for the launch of Apple's new hardware. "The bigger interface will allow for a better 'heads up' display of the full tune you are working on, as well as global access to things like the mute buttons," says developer David Wallin. "Navigation will also be a lot easier. After the first release, I will work on adding some additional features (aside from just enhanced UIs)."